To get to Malaka by bus is not too difficult. You can take any bus from nearest terminal where you stay as long as the bus depart to Melaka. However, in this article I only will share with you how to get to Melaka from Kuala Lumpur. As the first alternative, to get to Melaka from city of Kuala Lumpur you can take the bus from TBS. Bus to Melaka Sentral depart every hour from morning to evening. The cost is about RM10++. The journey from TBS to Melaka sentral take about 2 hours and half. 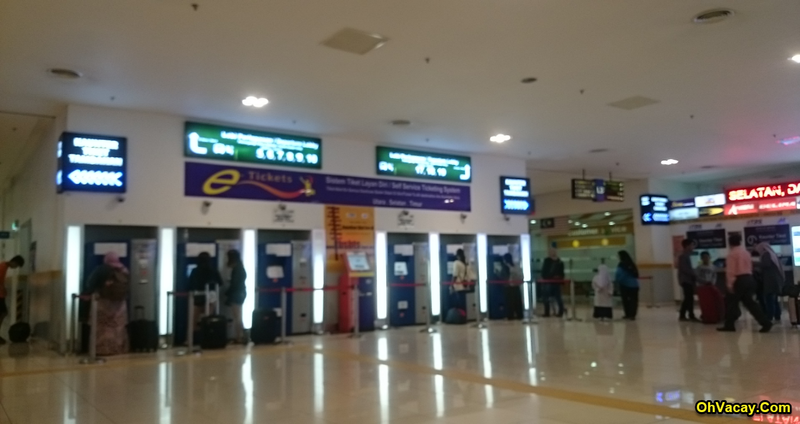 After you arrived at the Melaka sentral you can take bus route to Melaka city. If you not sure which bus depart to Melaka city, you can ask the information center there. While, if you not sure the exact location to drop-off you can ask the driver to inform you once the bus reach to the A' Famosa. If you wanna go back to the Terminal bus (Melaka sentral), you can take the same bus by waiting at the same place you drop-off. For you information, the route to going back to terminal bus is taking much more time compare to the route from terminal bus to A'Famosa. The second alternative is via KLIA/KLIA 2. In this case, you can take direct bus from KLIA/ KLIA2 to Melaka sentral at the bus terminal inside the KLIA/KLIA2 building. The bus schedule normally start at the early morning and end at the night. Despite of the the fare is double (start from RM24) compare to taking bus from TBS, however you save a lot of time. The jouney from KLIA/ KLIA2 to Melaka Sentral normally take about 2 hours 30 minutes to 3 hours depend on the traffic. After you arrive at the Malacca Sentral, you can take same action as discuss above.